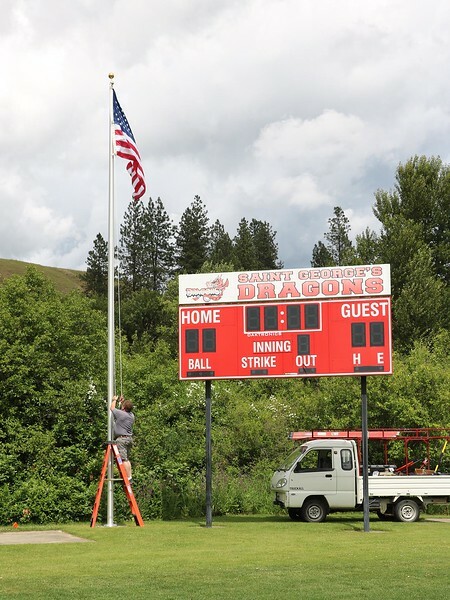 Thanks to graduating senior Hunter Hyde and his dad who erected this new flagpole by the scoreboard at the corner of the baseball/soccer field. It was a CAS (Creativity, Action, Service) project for Hunter as part of earning his IB Diploma. Here the flag is being raised for the first time on June 16, just two days after Flag Day.